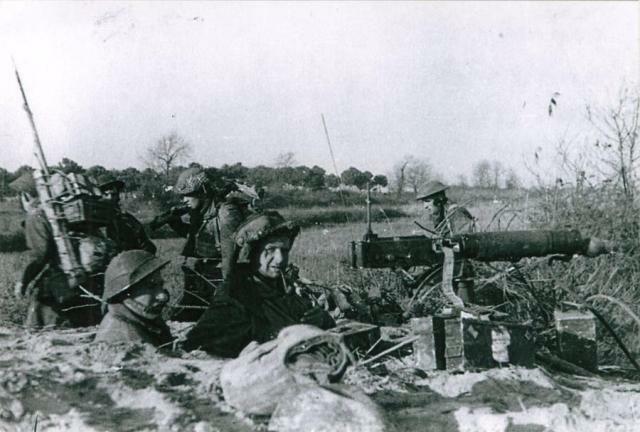 In Italy, on the night of 8th/9th April, 1945, Major Lassen was ordered to take out a patrol of one officer and seventeen other ranks to raid the north shore of Lake Comacchio. 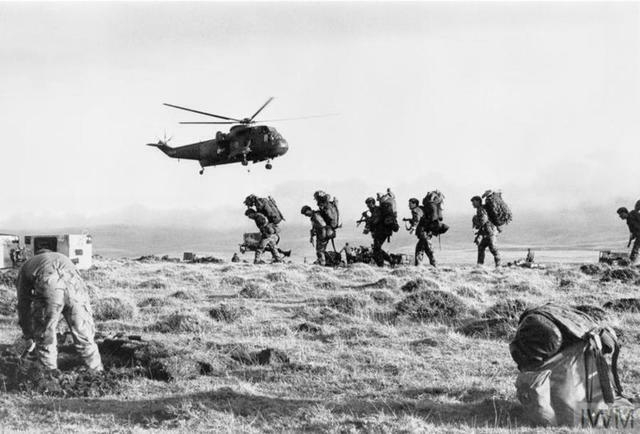 His tasks were to cause as many casualties and as much confusion as possible, to give the impression of a major landing, and to capture prisoners. No previous reconnaissance was possible, and the party found itself on a narrow road flanked on both sides by water. Preceded by two scouts, Major Lassen led his men along the road towards the town. They were challenged after approximately 500 yards from a position on the side of the road. An attempt to allay suspicion by answering that they were fishermen returning home failed, for when moving forward again to overpower the sentry, machine gun fire started from the position, and also from two other blockhouses to the rear. Major Lassen himself then attacked with grenades, and annihilated the first position containing four Germans and two machine guns. Ignoring the hail of bullets sweeping the road from three enemy positions, an additional one having come into action from 300 yards down the road, he raced forward to engage the second position under covering fire from the remainder of the force. Throwing in- more grenades he silenced this position which was then overrun by his patrol. Two enemy were killed, two captured and two more machine-guns silenced. By this time the force had suffered casualties and its fire power was very considerably considerably reduced. Still under a heavy cone of fire Major Lassen rallied and reorganised his force and brought his fire to bear on the third position. Moving forward himself he flung in more grenades which produced a cry of " Kamerad ". He then went forward to within three or four yards of the position to order the enemy outside, and to take their surrender. Whilst shouting to them to come out he was hit by a burst of spandau fire from the left of the position and he fell mortally wounded, but even whilst falling he flung a grenade, wounding some of the occupants, and enabling his patrol to dash in and capture this final position. Major Lassen refused to be evacuated as he said it would impede the withdrawal and endanger further lives, and as ammunition was nearly exhausted the force had to withdraw. By his magnificent leadership and complete disregard for his personal safety, Major Lassen had, in the face of overwhelming superiority, achieved his objects. Three positions were wiped out, accounting for six machine guns, killing eight and wounding others of the enemy, and two prisoners were taken. The high sense of devotion to duty and the esteem in which he was held by the men he led, added to his own magnificent courage, enabled Major Lassen to carry out all the tasks he had been given with complete success." London Gazettes Supplement 21st February 1946 issue 37476 page 1048 . 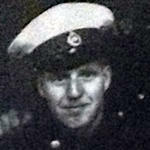 Bar to the Military Cross Captain (temporary) Anders Frederik Emil Victor Schau LASSEN, M.C. 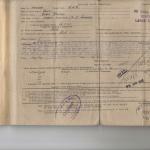 (234907), General List (to be dated 27th September, 1943). Second Bar to the Military Cross Captain (temporary) Anders Frederik Emil Victor Schau LASSEN, M.C. (234907), General List (since killed in action) (to be dated 15th February, 1944) . 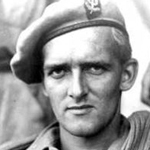 Commandos awarded the Victoria Cross [view].